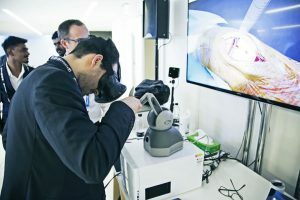 28th March – London – FundamentalVR, a fast growing Holographic, Haptic and Virtual surgery simulation company, is today with London Mayor Sadiq Khan’s team on a trade mission to Europe. The initiative, led by the Mayor’s International Business Programme and London & Partners, is designed to help high-growth B2B tech companies identify partnerships and to explore business opportunities in Europe and show that London is still very much open for business. Deputy Mayor for Business, Rajesh Agrawal, said: “I am delighted that Fundamental VR is joining me in Berlin as we showcase some of the most innovative and entrepreneurial businesses London has to offer. As part of the 3 day mission timed to coincide with the triggering of article 50 formerly commencing the Brexit negotiations, FundamentalVR and other selected organisations will be given the opportunity to connect with senior-level tech executives at one-to-one meetings, roundtables and networking events, as well as with international investors at investor pitching events in Berlin. Fundamental was one of a small number of fast growth tech companies in Life Science invited to join the The Mayor’s International Business Programme. The 12-month programme is designed to support high-growth businesses from London’s technology, life sciences and urban sectors achieve their growth ambitions through trade missions, a bespoke mentoring scheme and expert advice and workshops. 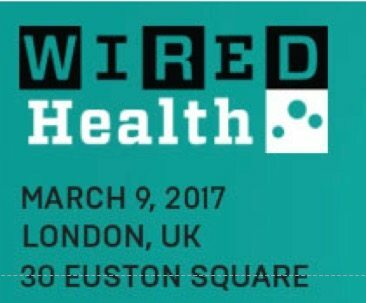 We were pleased to join WiredHealth 2017 this year. A review article from Wired below or read more about it here . The 3rd annual Surgeon Educators Day is an opportunity for RCS trainers, tutors, and those with an interest in surgical education and training to come together to discuss developments in simulation and innovation in surgical training and education. There will be opportunities to explore the shape of surgical training and online resources for education and training. Microsoft has today (13th March) announced Fundamental as a key HoloLens partner both in North America and Europe. Fundamental and five other newly announced companies have been recognised for their HoloLens development expertise and growing teams that can take on holographic application for clients. Chris Scattergood commented: “We are delighted to have been selected as a Hololens partner by Microsoft. The holographic platform offers exciting new opportunities in medical knowledge transfer, coming at a time when the medical world needs to radically enhance the speed, accuracy and efficiency of that knowledge transfer”. If you are thinking about how mixed reality and HoloLens might impact your business talk to Fundamental. FundamentalVR provides training, simulation and education using virtual and mixed reality in the medical and communications markets. Our MultiMR and FeelRealVR platforms allow healthcare practitioners a new safe, measurable and repeatable level of involvement with medical procedures as well as a compelling new way to explore patient anatomy and showcase clinical advances.